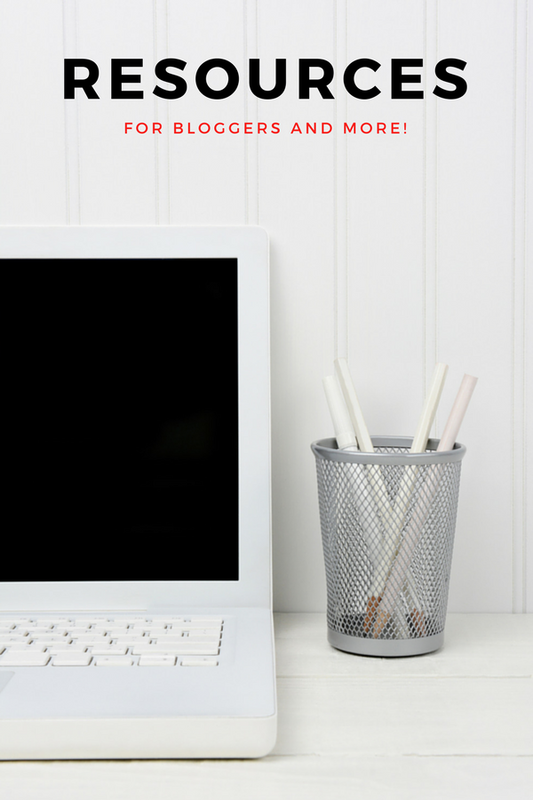 A web host can make or break your blog. For that reason, I decided to create this list of the top 10 blog hosting sites. After hours of research and compilation, I have shortlisted the best blog hosts that you can use right now. Bluehost is a multi-function web host started in 1996. They are known for their feature-rich, reliable and affordable service. Bluehost now manages over 3 millions domains, and is one of the largest host in the world. They are not only recommended by popular CMS WordPress, but also a bunch top dogs like Pat Flynn, Darren Rowse and Michael Hyatt. All that is because BlueHost has some undeniably good server performance that assures anyone can visit your site at all times. While BlueHost is one of the most solid and affordable host you can find, something you need to know is that their renewal price after a year is up to $8.49 per month, instead of the original $3.45 per month. You need to pay up to 90% of the initial hosting price which can be a surprise to new bloggers. This is actually a pretty common tactic in the hosting world where hosting companies like WebHostingHub, A2 Hosting, GreenGeeks, FatCow, Hostgator, iPage, InMotion Hosting and more, offer a cheap initial price to attract new users. If you are looking for great server performance at a good price then look no further than BlueHost. 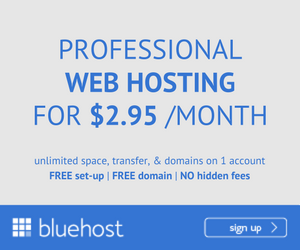 Note though that $3.45 is only their initial offer, BlueHost’s renewal rate is actually at $8.49 per month. SiteGround is known as one of the best host in the industry. They are a privately-owned company that mainly provides web hosting services for individuals and small businesses. According to Web Hosting Secret Revealed, their server performance is top notch with a solid 99% uptime history. In terms of speed, SiteGround doesn’t disappoint either with Bitcatcha recording their response time of 20 and 52 milliseconds milliseconds from United States servers. Considering SiteGround is currently hosting over 250k domains and manages over 1,000 servers across three different countries, they are a reliable solution for anyone looking to build a sustainable online presence. Although SiteGround is widely loved by their users, they can be quite expensive for monthly users who won’t benefit from their promotional price. Only yearly users can benefit from SiteGround’s promotional price. If you prefer to pay monthly instead, the price can go up to $9.95 per month, which can be quite a lot in the long run. Relaunched in 2009, iPage’s affordable hosting service is owned by big brand the Endurance International Group (also the company behind BlueHost). Now, iPage is serving over 1 million users and before long, they have beat the odds to rank top on most hosting review sites. But of course, iPage is not popular only because their service is cheap. Since Web Hosting Secret Revealed reported their iPage site speed using Bitcatcha of only 72 and 27 milliseconds from United States servers, iPage users can rest assured that their website will be delivered in time. Since iPage is a budget hosting company, it’s important to note that their support speed is not always the best. As a cheap host, iPage does a great job in providing you a neat hosting service with solid uptime. That said, they aren’t the best when it comes to support. Founded in the USA in 2003, Arvixe has a wide range of services from shared to dedicated hosting. Arvixe offers a 99.9% site uptime guarantee, and the best part is that they will refund you if the guarantee is broken on any given month. It also offers a 100% uptime guarantee for dedicated servers with a pro-rate refund for any downtime. The Arvixe blog is also very active and provides readers with regular ‘how to’ articles as well as other bits and pieces of information. One of Arvixe’s cons is their support. A lot of users reported having trouble getting help from the support team. Arvixe still makes this list for the top blog hosting site for their tiny price, great performance and unlimited space and traffic package. Arvixe is some of the cheaper choices at only $4 per month, that offers a good hosting experience. While I don’t recommend you host your business site here, Arvixe is great for a side blog or test run. InMotion Hosting was founded in 2001, in a short decade, they are now hosting over 500,000 worldwide. InMotion Hosting offers a broad range of services, from shared hosting hosting plans to VPS through to dedicated hosting. They pride themselves providing a first-class service from a well-trained staff without cutting corners on support. Over and over, InMotion Hosting is praised for their patient yet punctual support and great uptime score. If you are looking for a fully reliable host then InMotion Hosting is a great choice. They are extremely well praised for their quick support, with both 24/7 Live Chat and email. You can expect them to get back to your within hours via email, which is a rarity in the hosting world. Unusually, DreamHost offer a 100% uptime guarantee across all shared, VPS and dedicated hosting. Should a fault at DreamHost cause your website, database, email, FTP, SSH or webmail to go down, you’ll be credited with one free day’s hosting for every hour of downtime. The amount of downtime is calculated from the moment you open a support ticket, so it pays to be proactive. If you are looking for a common user interface like Cpanel or Plesk, you may be disappointed to hear that DreamHost doesn’t have neither. Instead, they offer a custom control panel which was created entirely in-house. A2 Hosting was founded in 2001, providing hosting services “by developers, for developers”. The company proudly claims that its servers are privately owned, and only its own technical team are allowed to access them. Although their monthly hosting fee goes up to $10.59 per month (as with all web hosts, the price drops if you choose yearly billing cycles), you get what you pay for. A2 Hosting were known by many for their good uptime history and timely 24/7 technical support. A unique feature to A2 Hosting is that all users get free access to Server Rewind for free. It’s a completely custom backup tool that is accessible through your cPanel and provides you with restore points for files and databases. This means you don’t have to outsource backup services which can save a significant amount. It’s very hard to find a bad review for A2 Hosting but unlike most other hosts, A2 Hosting doesn’t offer a lot of extras for first time users such as a free domain name. A2 Hosting is known to have loading speed and stability although they don’t offer free domain names. As an USA recognized Green Power partner, GreenGeeks’ goal is to become the best green energy web hosting company in the industry. $9.95 is considered a pretty high price for a shared host (BlueHost can be as low as $3). But something you need to know when it comes to renting a web hosting service is that the longer you pay in advance, the better the offer. That said, no services comes without some complaints, GreenGeek is no exception. It’s known to a few users to be slow on their support. Although GreenGeeks provides 24/7/365 live chat and email support, it was known to take up to 2 days to get back by mail. This is something you should take note, if you are new to web hosting and needs that extra support to understand their system. FatCow is an affordable hosting that focuses on shared hosting although they also provide a wide range of services and support to complement it. Powering over 200,000 websites being hosted worldwide, FatCow appeals to bloggers who are looking for something that’s easy to use with their simple hosting services, eliminating the need for technical fiddling. Something you need to know about FatCow thought, is that their renewal price will double over the years. While FatCow starts at the most affordable price, there is a reason I didn’t name is the cheapest web hosting compared to iPage. HostGator is some of the bigger brands in the web hosting industry, with over 950k hosted websites worldwide. And that includes high-profile partners like: Cisco, AT&T and Dell, to name a few. Unlike their peers, HostGator also offers a monthly billing cycle of $10.59 per month. Boasting a large range of features and a good uptime to help you make the most out of your site, HostGator is a good choice when it comes to reliability. Another great point is that all HostGator accounts are backed up on a weekly basis. If you need to restore a backup, HostGator charges $15. If unless you supply the backup file yourself, this service is free. Though HostGator has been reported to give users an extensive wait time to get to their support be it via phone or email. This means that if you are new to web hosting or have a tendency to call support, HostGator can be a pain to use since it will take some time to reach an attendant. If you are looking want a trustworthy host then HostGator is what you are looking for. However beware that their support is not the most punctual. ✓ Solid uptime score. x It can take a while to reach support be it via phone or live chat. Considering how the market of web hosting is pretty saturated, finding your perfect host is never an easy task. That’s where top 10 lists like these come into play. This list was carefully crafted, keeping in mind the needs of new bloggers as well as how much you are willing to spend on a web hosting service. I hope the post has helped you pick the best web host according to your budget. Do keep in mind that there’s no such thing as a perfect product, each web hosts are designed to suit the need of different users. 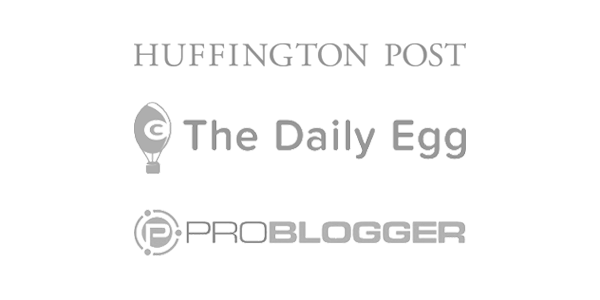 I have added hosts that are for budget oriented as well as hosts that are for advanced bloggers. In case you think we missed on a good blog host, let me know in the comments below! Bloggingthing is hosted at Wealthy Affiliate an all-in-one educational community on online marketing at $49 per month. At first, I simply host there out of convenience, but now that I’ve experienced with other web hosts, I think it’s a pretty great solution for those looking to build an online business. Wealthy Affiliate offers a pre-installed WordPress optimized host, supports are handled via tickets and only takes less than 1 minute for a reply. A great review, thank you for the detailed descriptions of each individual site. I run a blog page, so this was very helpful to me. I hadn’t heard of more than half of these platforms, and was pleasantly surprised by the affordable pricings. I liked the pros and cons, and honesty in your feedback. To be honest with you I have very little knowledge or understanding of web hosting but I am curious about why you would say BlueHost is your number one choice when the user rating is higher for 5 other web hosting sites. I am not a fan of HostGator as I have read some negative reviews about them. BlueHost response time is very good. Thanks for sharing your knowledge on your website. Hey Margaret. 🙂 While BlueHost doesnâ€™t have that high a user rating (taken from WhoIsHostingThis), itâ€™s my top pick because of itâ€™s offer for value, performance and support, a neat choice for new bloggers. As for HostGator, like any other products, we’ll have mixed opinions. Considering their uptime history and price, it’s still one of the better hosts out there. I hope this helps you learn some more about hosting companies! As usual an awesome and in-depth post. Some of the names like BlueHost, Site Ground, HostGator I am familiar with. The other names on your list, I had never heard them before. These 10 blogs hosting site review will help a lot of readers to make a decision. Especially since you’ve taken the pains to not only write a detailed review but took the time to put out the pros and cons. Really dig the use of boxes you’ve made on your site to put emphasis on certain points. I like the way you laid out the comparisons of the different hosting sites. The final verdict is a nice touch for those trying to decide with host to use. One thing that I did not understand was your rating system. Editor’s recommended choice is BlueHost yet the rating was only 3.5 out of 5. I also use BlueHost for one of my websites. So I understand why it is a top-rated and popular choice for hosting. I also recently closed my HostGator account because their customer support has really slowed down. I don’t contact customer support very often, but it needs to be responsive. Thanks, Glen! As for the rating, they were taken from WhoIsHostingThis. While BlueHost doesn’t have that high a rating, it’s my top pick because of it’s offer for value, performance and support, a neat choice for new bloggers. I agree with you on the importance of support, while we may not need them all the time, it’s crucial to be able to reach support in at least a few minutes to quickly fix issues on your site, especially when it suddenly goes down. Great site love it! About hosting and the three contributing factors that make a good quality hosting service provider, I’d like to add an all important fourth factor website security! This is great review overall but I am rather surprised that WP Engine is not on that list as they are outstanding, and in my opinion industry leaders in terms of performance and security, I’d love to hear your thoughts on WP Engine as a specialist WordPress hosting provider. Derek, thanks for the great input! I agree that site security is a must, in fact, I’ll add your insights in the post. As for WP Engine, it’s a pretty awesome host for sure. They have all the spices for a perfect service, great performance speed, support and of course, also well praised for their security. The best part is that they are optimised for WordPress. I just had this discussion with my mentor Kyle on WordPress optimised hosting, actually. The only reason I didn’t add it on the list is because as a WordPress optimised host they come at a much higher price of $29 per month. Not the best solution for new bloggers in terms of affordability, while they can also start with a shared hosting, one-click-install WordPress for almost 10 times less. Awesome post bro, I was not having much info about the hosting providers. But this post is really useful. Wowâ€¦ thank you for your hard work on the reviews. I heard Bluehost is excellent for performance, speed and for their reliability. Itâ€™s great to know the very popular CMS WordPress recommends them. I have never heard of SiteGround and I see you rated them quite high. There are so many web hostings to choose from. Your reviews make it a lot easier to make a decision in choosing a host… thanks again! It’s always a pleasure, Monica. 🙂 I agree that BlueHost is some of the more popular choices. Great uptime history and support. On a side note, I love their user interface! I hope you found the perfect host for your projects. And feel free to ask if you need anything, it’s always my pleasure to help. I use Wealthy Affiliate for my web hosting and have had a positive experience. They’ve always solved problems with my website quickly. Good customer service is very important to me, and they definitely have good customer service with how fast they solve problems. It’s more expensive than those on your list but it’s worth it for everything you get with a Wealthy Affiliate membership. Martina, Wealthy Affiliate is my hosting of choice as well. I didn’t recommend it in the list since it’s more of an online marketing course bundle with a much higher price than the ones mentioned, but I’m lovign them so far with their timely support. Come to think about it, I’ll add them as a bonus at the end of the list. 🙂 Thanks for sharing! I like this article a lot. I’m currently using BlueHost to host a mobile app of mine that I am creating. I think they are pretty good and their prices are fair. I think where they excel at is their expertise and their customer service. Even at like super late hours they’d be around to answer my calls if I had any questions. BlueHost is a very good company. Siteground, and iPage are also good as well, I’ve used them too. Funny how the only 3 I’ve used are at the top of the list. Thanks, Wil! Sounds like you know how to choose good hosting companies. 🙂 I agree that BlueHost have some pretty great prices compared to what they have to offer, my experience with them is pretty good as well. Ha, Yet another great review! Anyways, I am using Bluehost and I opted it for 3 years, but I am surprised to note that their renewal charges are double the rate of the initial rate, I think this is a business tactics of many play in this field. Thanks Anh for telling it out each of its pros and cons genuinely. Phil, good to see you on the blog. 😀 This is the first time I wrote such a long review so I’m glad it came out right! To be honest, I found it a little sad that so many web hosts opt for the much higher renewal price tactic, the comforting side of it is that BlueHost’s overall price is still pretty affordable at the end of the day. I love the other option! I show the latest comments first after an advice from my friend, Lor, who said it makes the blog looks more up to date. As well as letting readers know that you are around, ready to reply to them. 🙂 It may be an option you want to consider for your blog as well.